RIP, Amazon Free App of the Day. Underground, as far as we can tell, is a new location in Amazon’s Appstore that lists out “actually free” games and apps for you to download. Amazon says there are over $10,000 in apps, games, and in-app items that are “actually free.” I don’t know what “actually free” is in reference too or taking a shot at, but that appears to be the slogan for this new initiative. The basic idea here is that Amazon doesn’t need to figure out a single app that should be free each day when they can put together bundles or lists that are likely available for a set period of time. That way, you can just check back regularly to see if anything has changed or if there are additional free apps you may want to grab. 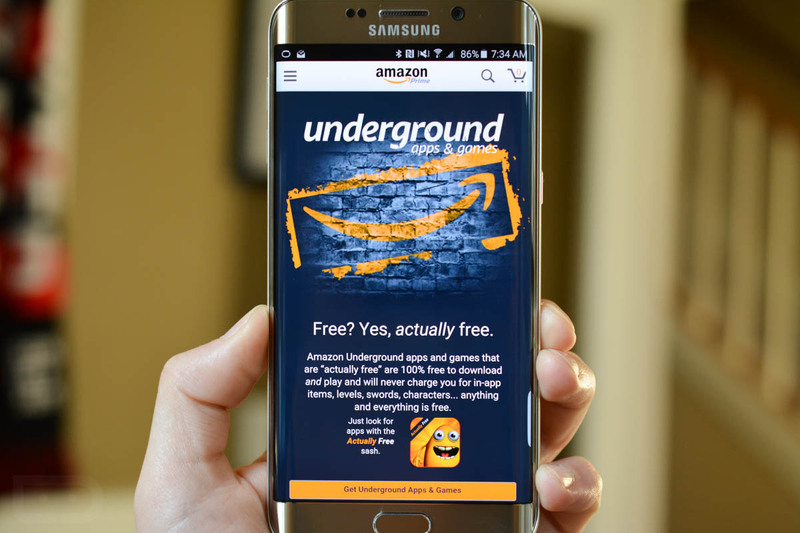 This new “Underground” section lives inside the Amazon app, under the Apps section. In other words, it’s not a new app by any means. Once in there, you can download and install free apps like Goat Simulator, Cut the Rope 2, Jetpack Joyride, Star Wars Rebels: Recon Missions, and more.